Oh yeah, you read that right! The Struts are coming to The Beacham in Orlando on Saturday, October 13th! Supporting The Struts are White Reaper and Spirit Animal. GET YOUR TICKETS TO THE STRUTS AT THE BEACHAM IN ORLANDO, FL! RSVP TO THE STRUTS AT THE BEACHAM IN ORLANDO FL! Formed in 2012, The Struts have hit some incredible milestones in just a few short years. They opened for The Rolling Stones in front of a crowd of over 80,000 in Paris, got hand-picked by Motley Crüe to accompany them on their four last-ever performances, and toured the United States with sold-out shows – all before they released their first studio album. Their debut Everybody Wants unleashes their unapologetic, glam-rock sound to the world. 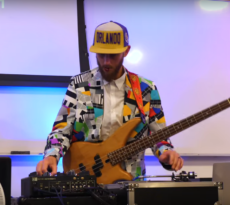 They intertwine what they channel onstage into their studio recordings, keeping their vibe big and fun. 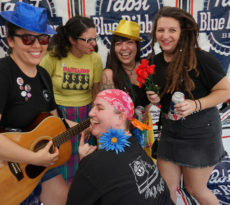 The lead single off their 2015 EP Have You Heard reached the number 1 spot on Spotify’s viral chart, hit over 2.5 million views on YouTube, and shot up to the top 5 on the Modern Rock radio charts. Take a listen! Opening for The Struts are White Reaper and Spirit Animal. White Reaper is a garage-punk band from Louisville, KY who is ready to blowout some eardrums far and wide. With two albums under their belt, they are sure to bring back the feel of rock that Van Halen and KISS brought to the older generation. Spirit Animal is a psychedelic rock band from Brooklyn, NY. They have been called an “unmissable live act“, bringing a furious energy to the rooms they play. I can’t promise that you’ll have a voice after this show, but I can promise that it’ll be worth it. 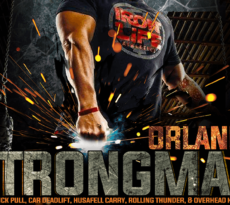 CONTEST ENDS: FRIDAY, OCTOBER 12, 2018 at 4:20 P.M.
ORLANDO! 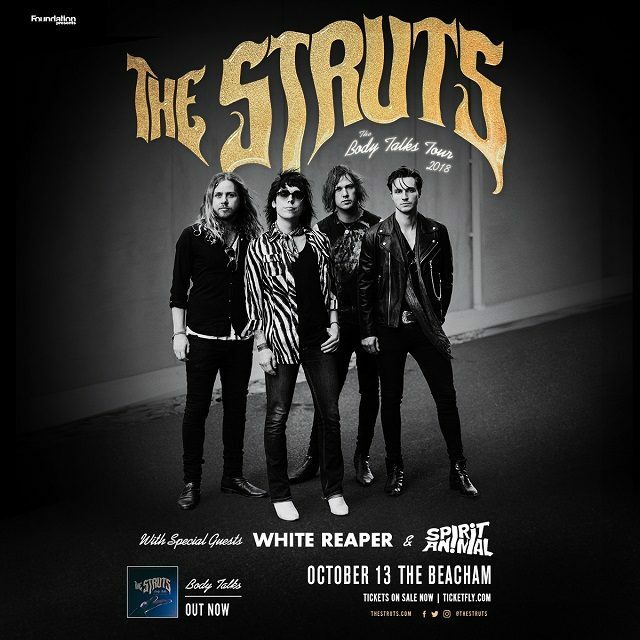 – The Struts are coming to The Beacham w/ White Reaper & Spirit Animal on Saturday, October 13th!🤘WIN TIX:1…. 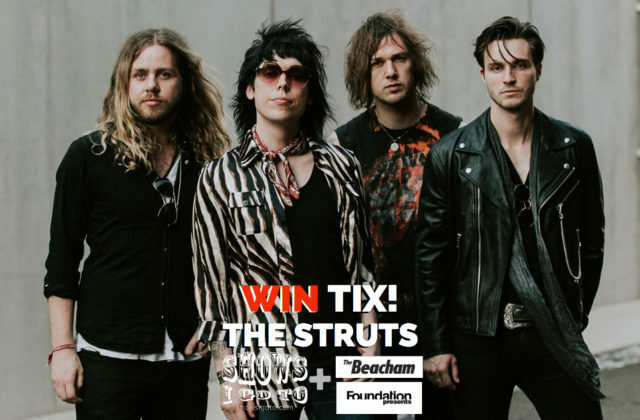 ORLANDO — WIN TIX to @TheStruts at @thebeacham Sat Oct 13th!